Feedback is needed from industry on the first draft of the Cyber Hygiene Profile developed by BIS and intended to identify the basic cyber controls that should be present in business. The current draft can be viewed and comments submitted through the BSI’s Draft Review System and the review will close on the 16th March, 2014. The Call for Evidence focused on the intention of government to encourage the adoption of industry led standards that can be used by organisations to improve the management of cyber risk. The particular focus of this work stream, that is part of a series of connected developments across business and government, was centred on the needs of SME companies. 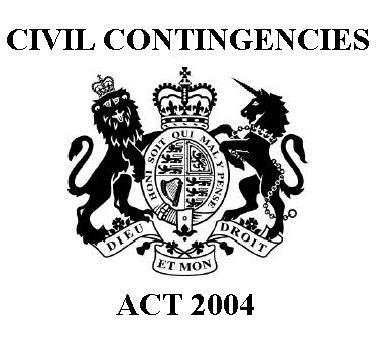 After two years the revision of the Civil Contingencies Act (CCA) through the Enhancement Programme (EP) is nearing completion with the final consultations closing on 27th September 2011. If you have yet to review these changes to the Act time is running out. You can use the links below to see and comment on the changes proposed. The Continuity Forum welcomes the revision process, particularly the aligning of Business Continuity arrangements with the British Standard BS25999 that we feel the revisions significantly clarify the expectations of the Act within all Category One and Two Responders. Another Major plus for the revised Act are the expectations relating to communications which we feel is a major step forward, providing greater clarity and removing much of the ambiguity that previously existed. It is clear to us that the CCA team has worked hard to a balanced review that provides flexibility in delivering appropriate solutions and processes, whilst maintaining clear direction on the expectations of the Act. The alignment with BS25999 is of particular importance to the sector and our communities as the Civil Contingencies Act preceded the launch of the Standard. Whilst many of those within the sector had aligned with BS25999 principles the now revisions make this expectation far clearer. We would hope that those planing in Category One and Two organisations will quickly move to assess and adapt their planning to meet this expectation, in particular the aspects that address their supply chain. Many BCM professionals working within organisations covered by the CCA have found this area to be a difficult area to address with management and has led to numerous avoidable problems. One area that we feel may need to be strengthened is the verification and audit of of the Business Continuity arrangements in place. Whilst we accept that some aspects of the BCM capabilities within Category One organisations may need a degree of adaption (and indeed BS25999 allows for this) this should not undermine the intent of either the Act or BS25999. Consequently, we would to see a condition added to justify variance from the standard. This would not undermine the flexibility of either the Act or standard, but would result in evidence for the need to vary from accepted Good Practice to be justified more clearly. We also feel that a little more focus should be given to the audit and assessment of the plans developed and deployed as could be argued as fundamental to delivery of value from the investment being made. With regards to Category Two responders, we feel that the regulators for these sectors need to pay far more attention to the Business Continuity arrangements developed by the companies they are responsible for regulating and should demand similar levels of detail and regular updates. The Continuity Forum is working in this area and we are hoping to meet with the primary regulators shortly to discuss this issue further. In a change to previous consultations, those wishing to comment are asked to submit their comments, via a dedicated on-line survey. The link is HERE! Final versions of the revised Act are expected to be complete in early Spring 2012. If you have any questions or would like to discuss the Civil Contingencies Act in more detail please do get in touch. Over the next week the largest ever civil protection exercise in the UK gets underway. The Exercise, called Watermark, involves 10 government departments, 34 resilience forums and many teams from emergency planning, water and energy companies, hospitals and schools as well as a host of Business Continuity professionals coming together to test their preparedness against a range of different flooding Sceanrios. Exercise Watermark is supported by DEFRA, who are contributing £820,000 to the emergency services, charities and others to help pay for flood rescue equipment and training. All of the equipment will be added to the National asset register for flood rescue resources and will be called upon in the event of major flooding events. Andrew Lansley's decision to pull the Flu advertising campaign in the run up to Christmas has caused a huge amount of debate and criticism targeted at the Government who have been accused of putting the nation's health at risk in order to save money. EU FloodCommand is a new UK-led, EU co-funded project to improve cooperation between member states as they plan and implement a joined-up response to coastal flooding disasters. Coastal flooding has been a cause of major loss of life and destruction of property over recent decades across Europe, and the problem is due to get worse with global warming and predicted rises in sea levels. The EU has agreed to fund the project up to 80 per cent of its overall eligible costs. The Department for Environment, Food, and Rural Affairs (Defra) has announced a total of £2million to improve flood rescue capability. Grants totalling approximately £650,000 have been awarded from the fund today. A careful selection of one-hour seminars running in the morning and afternoon will allow delegates to understand complex areas of specific interest. You will have the opportunity to attend two seminars in total. These sessions will open up into an interactive discussion, giving you the chance to contribute and debate the hot topics of the day. While there has been a significant real increase in real terms for flood defence spending since 1997, in order to maintain existing levels of flood protection to 2035, spending on asset maintenance and construction would have to increase by 80% to over £1 billion per year.